Max Berger is a native of Winnipeg, Manitoba and was educated at the University of Manitoba and York University. Mr. Berger is a graduate of Osgoode Hall Law School in Toronto, Canada. Max Berger Professional Law Corporation is a leading Canadian immigration law firm with offices located in Toronto, Ontario and Montreal, Quebec. Mr. Berger specializes in all areas of immigration law, including independent or skill-based immigration, business immigration (entrepreneurs and investors), temporary student and employment visas, family sponsorships and refugee claims and appeals. Mr. Berger has been appearing regularly before the Immigration and Refugee Board since the creation of the Board in 1989, as well as in the Federal Court and Supreme Court of Canada. Many of the firm’s associates have gone on to distinguish themselves in the area of immigration law or have been appointed as judges at the Immigration and Refugee Board, Ontario provincial Court and the Federal Court of Canada. Max Berger has represented immigration clients from all corners of the world and in every area of immigration law. Mr. Berger has been interviewed and has written articles on immigration law for the “Globe and Mail” and “The Toronto Star” newspapers and has been interviewed on immigration issues by CBC and CTV television. Mr. Berger’s comments on immigration issues have been cited in newspaper and magazine articles in Canada and around the world. 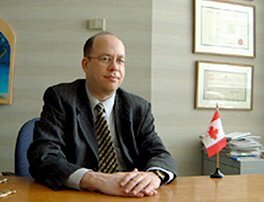 Mr. Berger has appeared as a speaker for the Canadian Bar Association at the National Immigration Law Conference. Max Berger Professional Law Corporation is a full-service immigration law firm with broad experience in all areas of Canadian immigration law.